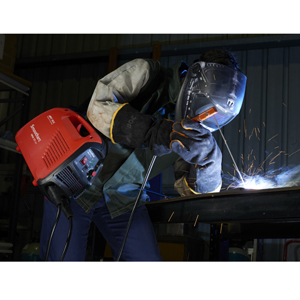 Leading gases and engineering company, BOC, recently launched eight new welding models that offer the latest in welding technology. Richard Fowles, Senior Product Manager of Welding Products, said the new welding range is affordable and easy to use, with advanced electronics and digital control. “With new legislative changes in electrical safety, our machines now carry the Regulatory Compliance Mark (RCM). Whether it is small fabrication jobs or automated robotic applications, BOC understands the need to have machines that provide the right power capacity and processes,” he said. The new BOC Smootharc MMA131vrd and MMA171vrd models are perfect for fabricators on the go, with new TIG capabilities and voltage reduction devices, while the new BOC Smootharc Multi-Process 180 and BOC Smootharc MIG181 models come with optional spool guns (purchased separately) for added convenience. Two remote power workhorses, Smootharc Advance II MIG250R single-phase and Smootharc Advance II MIG400R three-phase offer MMA capability. Internal toolboxes contain a Binzel MIG torch, regulator, wire feeder, inter-connecting cable, wire feed rollers, gas hose with quick release, electrode holder and work return lead.